On this page are examples of our fantastic work, photos of our trips and activities in class. More will be added over time but enjoy these for now! Here are some of our natural disasters non-chronological reports. 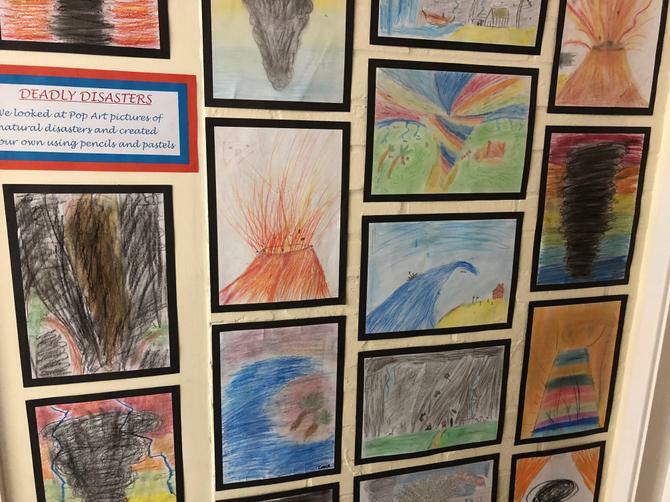 We have studied several different natural disasters such as: earthquakes, avalanches, landslides, floods, tsunamis, volcanoes and hurricanes, looking at the causes and the effects of these occurring. 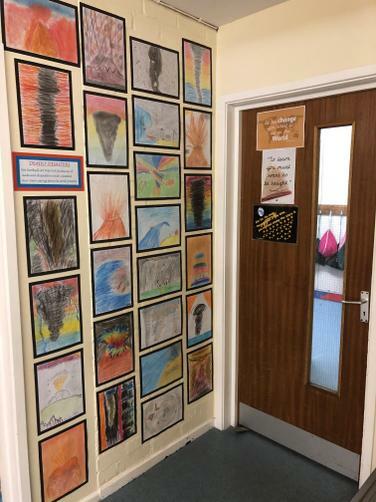 We have spent quite a while combining our geography lessons in with our English lessons to improve our writing, research facts about natural disasters and then put this all together into some of the reports you see below. 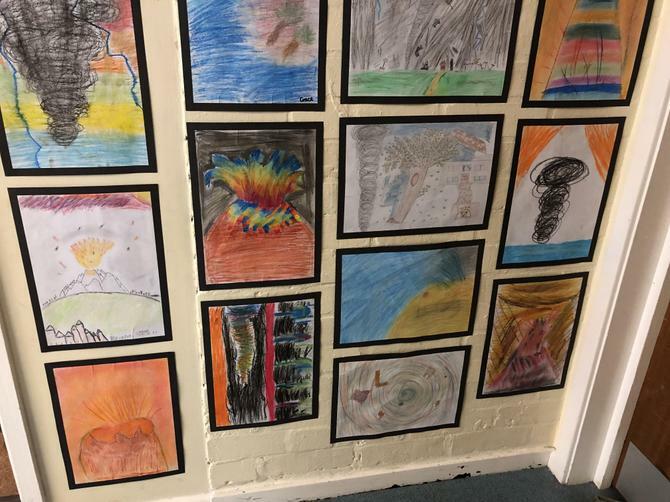 As part of our work on our 'Deadly Disasters' topic, we looked at ways to survive a natural disaster and came up with our own designs for an earthquake-proof structure. Here we are building earthquake-proof structures using a limited amount of recycled materials. We proved that teamwork and combining our ideas can make a strong enough structure to withstand an 'earthquake'. Look at the concentration on our faces! 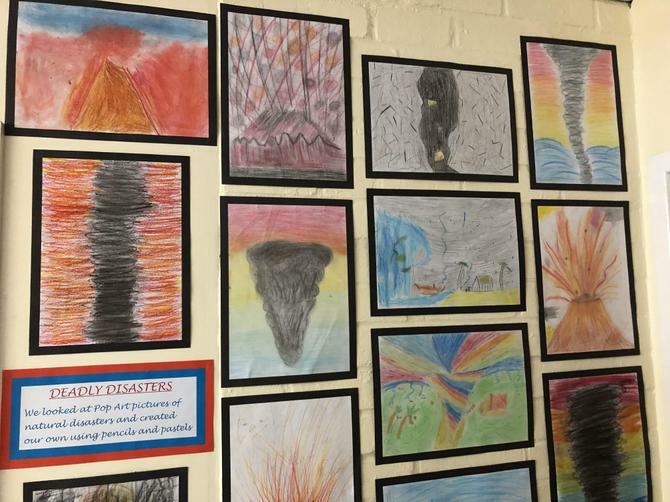 With Mrs Kimsey, we looked at different examples of natural disaster-themed artwork. We then drew our own versions of some of the artwork we studied and have decorated our wall with our amazing art!